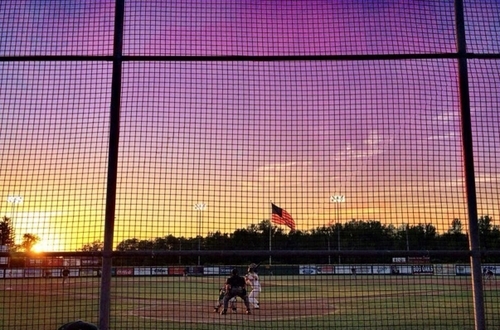 The 2014 PGCBL season was one to remember. The Amsterdam Mohawks won their third consecutive championship, sweeping the Newark Pilots in the PGCBL Championship Series. Newark set a franchise record with 27 wins and won the West Division that was a tight race all the way until the final day of the regular season. In the playoffs, Elmira defeated Watertown in the one-game playoff in the West Division, while Mohawk Valley beat Albany in the East Division. In the division finals, Amsterdam swept Mohawk Valley and Newark came back after losing game one to defeat Elmira, two games to one. In a rematch of the 2011 Championship Series, which Newark won, Amsterdam outscored Newark 21-4 to win the title. For the 2014 PGCBL Awards, Josh Gardiner of the Amsterdam Mohawks took home Player of the Year honors, while Jayson Yano of the Newark Pilots won the Pitcher of the Year Award. Yano’s coach Mike Armstrong was named the PGCBL Coach of the Year. The first and second teams All-PGCBL were also released. 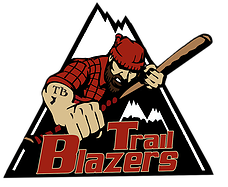 The Adirondack Trail Blazers finished the 2014 season with a 17-28 record. The Trail Blazers finished in fourth place in the West Division, nine and a half games behind the Newark Pilots. In 2013, Adirondack’s first season in the PGCBL, they went 17-30. Adirondack finished with the fourth-highest team batting average at .264. The Trail Blazers led the league with 24 home runs, two more than the Amsterdam Mohawks. On the mound, Adirondack had the second-highest team ERA at 5.66, but did have the second most strikeouts with 324. Mike Carter was the leader of the Adirondack offense. The Rutgers product won the PGCBL batting title with a .430 batting average. Carter was named to the first team All-PGCBL and led the league with 80 total bases. Mark Williams hit a fourth of the Trail Blazers’ home runs, finishing tied for the league lead with six long balls. On the mound, Rollie Lacy was the ace of the Trail Blazer pitching staff. Lacy, who was named the PGCBL Pitcher of the Week for both Week Five and Week Six, went 3-1 with a 1.79 ERA. Opponents hit .201 off the Creighton right-hander and his 42 strikeouts were the fourth most in the league. The bullpen combination of Woody Bryson and Christian Doughty were solid for coach Matt Leahy. Doughty posted a 1.71 ERA in 12 appearances and Bryson had a 9.31 strikeouts per nine innings ratio. The Albany Dutchmen finished the 2014 season with a 21-24 record. The Dutchmen finished in third place in the East Division and lost the one-game playoff against the Mohawk Valley DiamondDawgs on July 31. The 21-24 mark was down from a 26-22 record the Dutchmen posted in 2013. Albany’s pitching staff posted the fourth-lowest ERA in the PGCBL with a 4.18 mark. The Dutchmen were tied for the third most saves (9) and were tied for the third-fewest free passes (165). At the plate, Albany’s .245 batting average was tied for fourth-lowest in the league, but did finish with the second most triples (13). The Dutchmen offense was led by center fielder Sean Aspinall. Aspinall, an All-Star from Azusa Pacific, hit ,336 and led the team with 26 RBIs. His 12 doubles and 50 hits also led the team. Adam Lee led the Dutchmen with 23 runs scored after posting a .386 on-base percentage and both Danny Hrbek and Cameron Miller hit two home runs. Justin Curry and Drew Tolson were strong atop the Dutchmen rotation. Curry started four games and went 3-0 with a 1.17 ERA. Tolson, a right-hander from Baylor, was a constant workhorse for coach Nick Davey. He tossed 54.1 innings, second most in the league, and went 4-2 with a 2.82 ERA. Reliever Kyle Zurak’s six saves were tied for the second most in the league. The Amsterdam Mohawks set a PGCBL record with 36 wins and won the PGCBL championship for the third consecutive season. The Mohawks went undefeated in the post season, defeating the Mohawk Valley DiamondDawgs and the Newark Pilots, en route to the 2014 title. Amsterdam won 31 games in 2013 and 35 in 2012 (the previous record). In the record-breaking season, the Mohawks led the PGCBL in both batting average (.283) and ERA (2.49). After June 14, July 28 was the only day the Mohawks did not lead the league in batting average. The following day, they beat Mohawk Valley, 20-5 and pounded out 22 hits. Amsterdam’s 15 saves were the most in the league and Mohawk pitchers struck out 384 batters, also tops in the PGCBL. 2014 PGCBL Player of the Year Josh Gardiner was one of many Amsterdam hitters to put up outstanding numbers this summer. A full recap of Gardiner’s season can be found here. Outside of Gardiner, three other Mohawks hit above .300. John Razzino hit .370 with five home runs and a team-leading 34 RBIs. He also led the PGCBL with 23 stolen bases. Marcus Carson hit .346 and scored a team-high 38 runs and Tommy Kain slugged five home runs while hitting .324. On the mound, EJ Ashworth had the lowest ERA (2.02) of those pitchers who qualified. The right-hander went 5-0 and struck out 45 batters, the second most in the league. Fellow starter Taylor Blatch went 5-1 with a 1.80 ERA and tossed the second no-hitter in PGCBL history. Reliever Thomas Hackimer showcased some of the best potential of anyone in the league. Hackimer struck out 44 batters in 27.2 innings, posted a 0.98 ERA, went 3-0 with six saves and opponents hit .153 off him. Fellow relievers Kevin Guthrie and Joe Randall also posted ERAs of 1.19 and 1.48, respectively. 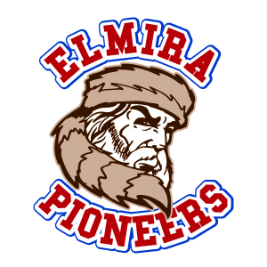 The Elmira Pioneers finished the 2014 season with a 26-21 record. The Pioneers finished in second place in the West Division and were defeated in the West Division Finals by the Newark Pilots. The 26-21 record is a flip of Elmira’s 2013 record (21-26). The Pioneer offense was one of the best in the league. Elmira hit .275 as a team, second-highest in the league and posted a .367 on-base percentage as a team, tied for the second-highest in the league. On the mound, Elmira’s 4.34 ERA was the fifth-lowest in the PGCBL. They did hold batters to a .246 batting average, which was the third-lowest in the league. TJ Dixon was a catalyst atop the Elmira lineup. The Samford product hit .339, thanks to a PGCBL-leading 62 hits, and scored 38 runs. Chris Kalousidian hit .314 and Christian Santisteban hit .305 and drove in 32 runners, the third most in the league. Elmira-native Zac Bellinger won the 2014 Home Run Derby and hit five home runs, tied for second most in the league. Bryson Hough was the story of Elmira’s pitching staff. The Bucknell right-hander led the league with a 1.02 ERA and went 5-0, including a win in the one-game playoff against the Watertown Rams on July 31. Hough struck out 41 batters and opponents hit .179 off him. Sam Sinnen was another solid piece in the rotation for coach Matt Burch. Sinnen went 5-3 with a 2.37 ERA and was the PGCBL Pitcher of the Week for Week Two. Reliever Matt Horton appeared in 17 games and posted a 1.89 ERA. The Glens Falls Golden Eagles finished the 2014 season with an 18-25 record. The Golden Eagles finished in fourth place in the East Division, two games back of Albany for the final playoff spot. 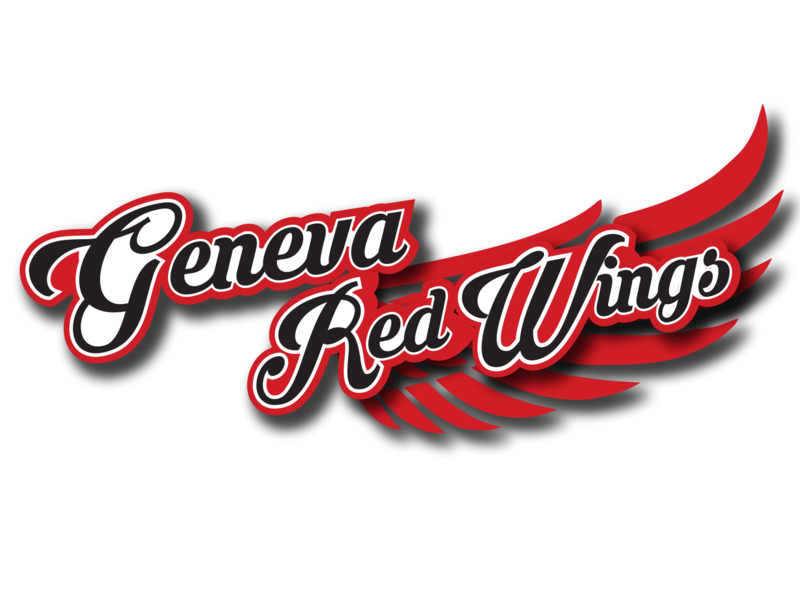 Glens Falls was 26-22 in 2013 and 27-20 in 2012. At the plate, Glens Falls hit .245, which was tied for the fourth-lowest in the PGCBL. On the mound, the Golden Eagles posted a team ERA of 4.62 and had a team fielding percentage of .957. Garrett Bernardo and Brennan Price were both effective in shortened seasons for Glens Falls. Bernardo hit .366 in 20 games for coach Johnston Hobbs, while Price hit .338 with three home runs and was named an All-Star as well as second team All-PGCBL. Mark Powell, who played in 41 games, hit .304 with a .406 on-base percentage. Tyler Ehlers was dominant at the back end of the Glens Falls bullpen. The left-hander appeared in 16 games, went 3-1 with a 1.24 ERA, and recorded six saves. The Colorado Mesa product was named to the second team All-PGCBL. In the rotation, All-Star Game MVP Kevin Cowan was the anchor. The right-hander posted an ERA of 2.20 and threw 41 innings, which in combination with his other two seasons in the PGCBL, puts him atop the leaderboard in innings pitched in PGCBL history. Cowan was also named to the second team All-PGCBL. The Mohawk Valley DiamondDawgs finished the 2014 season with a 26-19 record. The DiamondDawgs finished in second place in the East Division and were beaten by Amsterdam in the East Division Finals. The 26-19 record is the same record as the 2013 club, who also went 26-19. While Mohawk Valley ranked in the middle of the pack in both team batting average and team ERA, it was what the DiamondDawgs did once they got on the bases that really stuck out. Blake Nation’s club stole a league-high 106 bases, nine more than the next closest team (Amsterdam). The DiamondDawgs’ 4.63 ERA was the third-highest in the league. The foursome of Colin Hawk, Trey Stover, Zach Collett and Jayson Sullivan led the Mohawk Valley lineup. Hawk, who was named to the second team All-PGCBL and was the Week Seven Player of the Week, hit .324 and drove in 26 runs. Stover hit .322 with an OPS of .753 and Sullivan hit .297 with an on-base percentage of .379. He was named to the second team All-PGCBL. All-Star Game starter and first team All-PGCBL member Zach Collett hit .312 with a .928 OPS, six home runs (tied for league lead) and drove in 30 runs. The Mohawk Valley bullpen was a strong point of the 2014 season. Lucas Godlewski went 4-0 in 12 appearances with a 2.27 ERA. Evan Kissinger and Anthony Pastrana posted ERAs of 2.40 and 3.38, respectively, but Pastrana’s best appearance came when he started a July 25 game against Elmira. Pastrana tossed a complete-game shutout, allowing just two hits and striking out seven in Mohawk Valley’s 8-0 win. Ed Lewicki (3.57) and Nick Petrella (3.42) were also solid out of the DiamondDawg rotation. 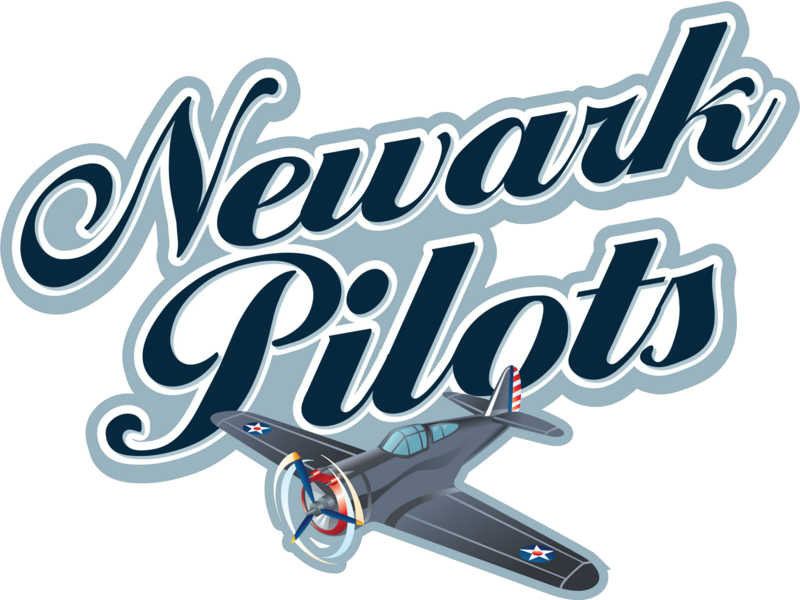 The Newark Pilots finished the 2014 season with a 27-19 record, good for the second-best mark in the PGCBL. The Pilots won the West Division by a game and a half over Elmira and advanced to the PGCBL Championship Series where they were defeated by the Amsterdam Mohawks. The 2014 season was an improvement over the 2013 season in which the Pilots went 22-25 and lost the one-game playoff in the West Division playoffs. Both Newark’s team batting average and team ERA ranked third in the PGCBL. The Pilots hit .271 and scored a league-leading 289 runs, one more than Amsterdam. 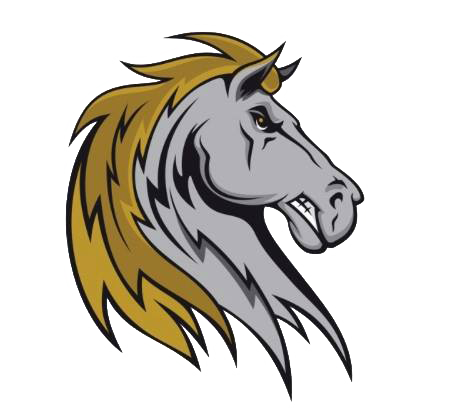 Newark’s offense struck out 267 times, the second-fewest in the league. On the mound, 2014 Coach of the Year Mike Armstrong’s club had a 3.93 ERA and allowed just 143 free passes, the fewest number in the league. Tanner Giesel and Jack Gerstenmaier were the leaders of the Newark lineup. Giesel, an All-Star Game starter and first team All-PGCBL member, hit .327, led the league with 35 RBIs and 39 runs scored, finished tied for the league-lead with 13 doubles and was tied for second with 78 total bases. Gerstenmaier’s .337 batting average was the sixth-highest in the league and his 29 runs scored were the second most on the Pilots, trailing only Giesel. The Virginia Cavalier-to be was named to the second team All-PGCBL. Catcher Samm Wiggins was a rock behind the plate, earning him second team All-PGCBL honors and utilityman Tommy Wagner hit .311, as he was also named to the second team All-PGCBL. While the lineup was impressive for Newark, the pitching staff was even more so. 2014 PGCBL Pitcher of the Year Jayson Yano was a dominant workhorse atop the rotation. A full recap of his season can be found here. BJ Nobles went 3-1 with a 2.27 ERA in nine appearances (five starts). Jimmy Wagner, Kyle Teachout, Andrew Tidwell and Braxton Wilks also posted ERAs below 3.00. Reliever Travis Laitar was named to the second team All-PGCBL after posting a 0.69 ERA in 11 appearances. The Cortland State product struck out 20 batters in 13 innings. The Utica Brewers finished the 2014 season with a 9-36 record. The Brewers finished in last place in the West Division. The 2014 season was a drop from the Brewers’ first season in the PGCBL, in which they went 16-28 and finished in fourth place. 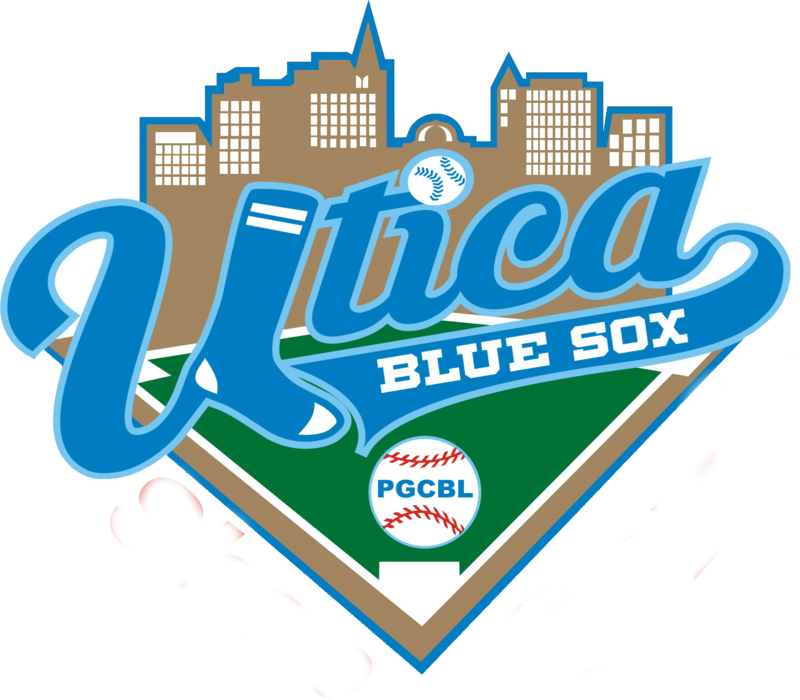 Utica ranked last in the PGCBL in both team batting average and team ERA. The Brewers hit just above the Mendoza line (.204) and posted an ERA of 5.70. The Brew Crew did hit 11 triples, which was the third most in the league. On the mound, Brewers pitchers struck out 297 batters, the fourth most in the league. The outfield duo of Cody Burton and Cedric Mullins were staples for coach Russell Jacob all season long. Burton, who was named to the second team All-PGCBL, hit .327 in 32 games and stole 20 bases. Mullins posted an on-base percentage of .394 and once on base, he stole 22 bags, the second most in the PGCBL. All-Star Hayden Kelly hit .294 and slugged four home runs with a team-leading 27 RBIs. The bullpen combination of Josh Garran and Chad Moss were two bright spots out of the Utica pitching staff. Garran, in his second season in the PGCBL (first with Utica), posted a 1.57 ERA in 12 appearances and struck out 38 batters in 28.2 innings. Moss didn’t allow an earned run in seven appearances. The Watertown Rams finished the 2014 season with a 24-21 record. The Rams finished in third place in the West Division and lost the one-game playoff to the Elmira Pioneers on July 31. The 2013 Rams went 29-19 and won the West Division. While the Watertown offense hit just .234 as a team, which was the second-lowest mark in the league, the Rams pitching staff had the second-lowest ERA at 3.51. Despite the .234 batting average, Watertown scored the fifth most runs in the league (224) and slugged 18 home runs (fourth most). On the mound, Rams pitchers held opponents to a .242 batting average (second-lowest) and struck out 315 batters (third most). The Watertown offense was led by All-Star Game starter and first team All-PGCBL member Matt Diorio. The Central Florida catcher hit .352, slugged three home runs, had an OPS of 1.005 and hit the second cycle in PGCBL history on June 22. Chris Gaetano and Shane Servoss were also solid fixtures atop the Watertown lineup. Gaetano was named an All-Star and led the Rams in batting average among those who qualified. Servoss hit .291 and was a perfect 9-for-9 in stolen base attempts. The tandem of Jon Escobar and Jake Sale led a commanding Watertown bullpen. Escobar led the PGCBL with nine saves, posted a 1.33 ERA and struck out 39 batters in 20.1 innings, good for a 17.26 strikeouts per nine innings ratio. Sale led the league with 21 appearances and went 5-0 with a 2.45 ERA. Starter Mitch Sewald was named to the second team All-PGCBL after striking out a PGCBL-leading 49 batters and posting a 2.89 ERA. For all the latest information on the PGCBL, visit www.pgcbl.com.